Interested in playing or singing with us? Please read our Frequently Asked Questions below! Individuals age 18 and older may audition for membership, as volunteers, in our orchestras and chorus. We welcome musicians who are passionate about their art and committed to continually honing their skills. We seek singers and players who take a team perspective, participate regularly in rehearsals and concerts, and excel in ensemble performance. If you would like to audition, contact us. Music we provide in advance: excerpts from standard literature, 1-3 minutes in length. Music we provide for sight-reading during the audition, 1-3 minutes in length and representative, in difficulty, of music that our current members sight-read successfully. Music of the auditioner's choice, again 1-3 minutes in length. 1-3 minutes of vocalizations as requested by the music director, with a starting note/chord provided. 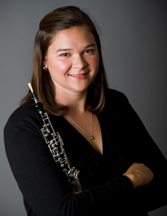 Following a successful solo audition, prospective members play or sing two concerts with us as guests; during that time, the music director and current members evaluate the performer's ensemble skills. Membership decisions are made at the end of the two-concert ensemble audition. How Can I Get on the Sub Roster? We maintain calling lists of guest players and singers who are interested in sitting in for absent members or filling extra positions required by specific works. While we do use paid subs from time to time, nearly all of our subs and extras are volunteers. If you'd like to be added to our roster, please e-mail us a summary of your playing or singing experience, along with your name, postal address, and primary phone number. We rehearse and perform primarily in the Hinsdale area. Most concerts are on Sunday afternoons, with occasional Saturday-night concerts and one weekday of educational orchestra concerts. 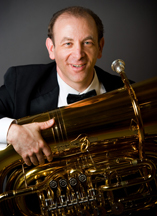 Symphony orchestra: 5 concerts annually, October - May. Rehearsals on Tuesday evenings, plus one Saturday morning or Friday evening rehearsal per concert. Chamber orchestra: 1 concert annually. Rehearsals on Friday evenings. Festival orchestra: 2 concerts each summer. Rehearsals primarily on Monday and Tuesday evenings, with one Friday evening rehearsal per concert. 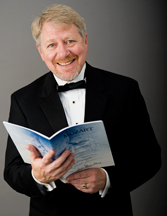 Symphony singers: 2-3 concerts annually, all with one of our orchestras. Rehearsals with piano on Sunday evenings, usually 6 per concert, plus 1-2 rehearsals with an orchestra per concert, on an orchestra rehearsal day. What are the Concerts Like? Our concerts are energetic and audience-friendly, with engaging audience interaction by our conductor. We stage our concerts in a highly polished manner that gives our audiences a memorable musical experience. We perform a wide range of music, from Baroque to contemporary pops. We offer fast-paced rehearsals that emphasize interpretive style. Our rehearsals are rich in humor, camaraderie and insights into composers' lives and the history of the music we perform. What are the Musicians Like? While many of our orchestra players work as musicians, our ranks include individuals from varied trades and professions. Many of our players also perform regularly in classical trios and quartets, jazz groups, and rock bands; most of our singers perform regularly with other choruses. Our members are very sociable. They enjoy routine post-rehearsal and post-concert get-togethers for food and drink, parties in members' homes, and concert tours. We have performed on tour in Breckenridge, Colorado, and in London and Tunbridge Wells, England. How are the Groups Managed? In the tradition of community orchestras and choruses, we are a self-managed organization of volunteers. 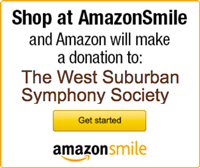 Our orchestra and chorus members constitute the membership of the West Suburban Symphony Society, the not-for-profit Illinois corporation that operates our performing groups. The Society is led by a board of directors that includes both performers and community members. Volunteers also carry out our business functions, as we have no paid support staff. The Society complies with all applicable nondiscrimination laws and does not tolerate sexual harassment.